It's always a fun read (Random Questions you want answered) in the "Everything Else" sub-forum, so why not for our sadly-less-frequently-visited Tech-sub-forum? My best friend's hard drive went kablooey a few days ago, and she asked me if I could replace it for her. "Sure!" I said, then realized it was her laptop - I've built her desktop systems for years, but I have never messed with laptops much at all, beyond installing operating systems/drivers/etc. Bad choice? Good choice? Better options? She doesn't want an SSD, and desires at least 500 GB of space. I usually go with Seagate for my drives, but I have no experience with them for laptop drives. Is the procedure akin to wizardry in a laptop, or is it similar to the generally friendly and straight-forward procedure of replacing a desktop hard drive? Unfortunately I think subscription stuff is probably off the table. Seems kind of silly to have a subscription for a single task. Well for one when you are creating financial or other summary PDF’s you are typically stiching them together from several sources making a PDF editor crucial. In my line of work, we release docs as PDFs. Your point about stitching together several is well made, but another key facet for me is being able to a apply a digital signature to those documents when issuing them. I need a 10-key to use with my laptop. I think I'd prefer wireless/bluetooth but will consider USB as a viable option. Anyone have any experience with one they would recommend or even know of one that has that layout? I prefer non-chiclet keys but will deal with it if that's all I can get. Getting deep into Dungeon Crawl, eh, BEP? 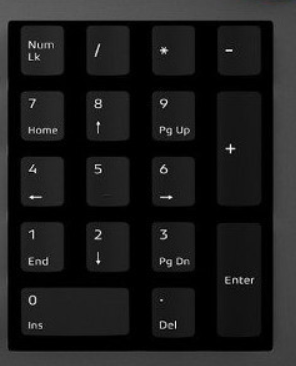 If you're using the num pad for DC, you are doing it wrong. Thanks. After looking at those, I found some on Amazon, I just had to go to the second page of results. Waaay too much work clicking that "Next Page" link. I haven't even tried it on the laptop. I was doing some prep-work for our D&D game yesterday and hit my frustration limit with not having a numpad for arrows, etc.. If you're not using the num pad for DC, you are doing it wrong. .... for whatever reason I've suddenly become a bit paranoid about my personal files, most of which I have stored in a dropbox folder on my machine. Does anyone know if there's a way to secure that part of my PC in the unlikely event that he decides to go snooping around? Or is it easier to just delete it from my PC and back it up from dropbox when I get it back? My second concern is that most of my passwords are stored in Chrome. Does anyone know if it's possible for Chrome to 'forget' them for a couple of days until I get my PC back? Sign out of Dropbox, quit the app, and then delete the local files. Same story for Chrome. Sign out of your account. Could you just setup a second Windows user for him to use to do whatever verification he needs? This would need to be an admin account which means he would still have access to look at files unless encryption was used. If he is installing a new drive and fresh copy of the OS kergguz could just remove the current HDD assuming they are comfortable doing that and have a way of reconnecting it to transfer files. 1. Trust the tech guy. It’s his job and reputation at stake if he messes with your data, and he has probably done this hundreds or thousands of times without stealing his customer’s stuff. 2. Don’t let any device that has ever contained your personal data or passwords near him, unless you’ve thoroughly destroyed or secure erased it first. True, I probably mistakenly assumed the SSD was a second drive but if it is a replacement drive and need to do file transfers and such your best option is to backup everything you are worried about and then delete it and log out of dropbox. Depends. I think you can subscribe to Acrobat Pro for $25 for one month and then cancel. Didn't Acrobat Pro used to cost like $1000 and now you can get it for $180 a year (and cheaper if you buy a prepaid multiyear subscription). I had to get a quote for it for an end user years ago and even with the educational discount it was like $500-$600 I think. Another option would be to just see if you could find somewhere where they are still selling one of the old licensed versions. Main issue with that is that DC runs so much better than XI did. I've been having a strange glitch with my mouse for a while now. Sometimes when I click on a link or other object, my mouse cursor will randomly hit other parts of the screen and not what's actually under my cursor. For instance when I click to open a thread on GWJ, Steam will suddenly pop up in my face. It's like my cursor went through a time warp back to 5 minutes ago when I clicked on the taskbar to open Steam. This also happened to me when I was playing Jagged Alliance. It runs in DOSBox and every now and then during the tactical gameplay I would click to tell a character to move and the island map would pop up instead. Where it gets strange is that it can also happen in Firefox with links from pages that aren't actually open. For instance if I click on a link and then later try to drag-select some text. My cursor will change to me click-dragging that link, if I drag it into the URL bar it will paste the link into it. The thing is, this can also happen with web pages I already closed 5-15 minutes ago. Since the issue isn't isolated to one specific program I'm suspecting something wrong with hardware or windows itself. My mouse is an old Logitech G5 from 2007 that I've had to open and re-solder multiple times, but it's been running fine for years and it can't cause this kind of time warp issue. There's only three possible culprits I can think of off the top of my head that fit the same timeframe. Back when the spectre and meltdown problems became common knowledge windows updated itself, but Asus didn't provide a new BIOS because they considered my motherboard to be too old. Secondly my old 560ti kicked the bucket and I replaced it with a new 1060, in the process my nvidia drivers jumped several hundred versions forward because my old card couldn't use newer drivers without crashing windows. And lastly about the same time as the above two I started using Discord fulltime and leaving it running in the background like I do Steam to stay connected with groups like GWJ, Elite Mobius etc. Any ideas what it could be? I haven't had much luck searching for info because this is such a specific problem. That seems like Windows is somehow caching previous mouse clicks. As if memory dedicated to that activity isn't being cleared or reused properly. Since it's happening across different programs my first step would be trying a different mouse. Even a little cheap $10 one would be good enough for troubleshooting purposes. I've been having issues where my view will suddenly jump to a drastically different angle in a 3d game with mouselook. It hasn't rendered anything unplayable, but it's often enough that I've noticed. Every once in a while I'll notice the mouse cursor jump to a new location when I'm on the desktop, but that's a lot harder to catch. I've been blaming Razer's software and drivers, as it seemed to get worse yesterday right after an update. This is probably a different issue than Tamren's, but it's close enough that I feel like dropping it in here as a data point. If it turned out this was a "Windows is trying to help you find your mouse cursor, and causing problems with its 'helpful' behavior" thing... I don't think that's what this is, but if it turned out to be that wouldn't surprise me. I ended up being able to download the trial version of Nitro on Edge browser and the export worked pretty well. Was able to buy full version for $130 so that's the route I took. Is there a way to mass delete or bulk edit the game profiles that AMD software automatically creates? One of my routers died today and I'm thinking of upgrading my ISP to fiberoptic which would make my speed 150/150 mbits. It's been so long since I bought one that I have no idea what the current wireless standard is. Can anyone recommend a basic router that can handle a 2-floor house and fiberoptic speeds? Okay so after poking around a bit I figured out that my old router was an N type from 2009 and the newer types are AC from 2013. Just as an example the cheapest AC router I could find is this Asus one for 100$. However my connection will only be 150/150mbits (300/300 if for some reason I wanted to pay even more) and for that speed I don't actually need an AC router. The most up to date N router is this one instead, which is older tech but less than half the price. Are either of these any good? No comment on the specific router models, but go with AC wireless. You very rarely (if ever) get the advertised throughput due to a number of factors, so go with the fastest wifi you can get. There is no good reason to buy a new router today that is not AC. WiFi performance is much, much more than just the maximum theoretical throughout. Okay thanks for the tips. A good router should last you for years so it is worth spending the extra money. I went with cheap on my last router (a Belkin model) and it barely outlived the warranty (technically it still worked but the uplink port was dead and with locked down firmware it couldn't even be turned into a bridge). What's the current consensus on the best way to remote into my home pc? Is it still TeamViewer? I had heard there were security issues with it - or was that LogMeIn.